The Frank Sinatra Tribute links page. The Rick Alviti Show - Rick Alviti is America's leading and most respected Elvis Tribute Artist in the country today. His tribute to Mr. Presley is flawless. His admiration for the King is apparent to all that have seen him. That Hats Guy - A great comedian with a unique and fun act. Big Bands and Big Names - The authority on the greatest Big Band Music and Singers. COQUI Solutions - Offering clients affordable, high quality and timely internet based business solutions. 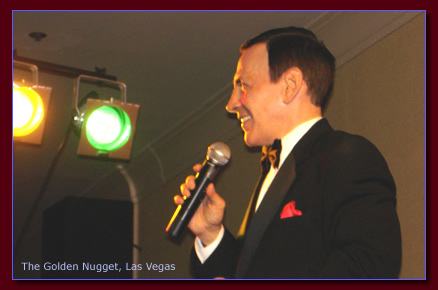 Frank Sinatra Impersonator - An authentic Frank Sinatra Lookalike and Soundalike Tribute for Corporate Entertainment, Casinos and Special Events. Insert the source code below. 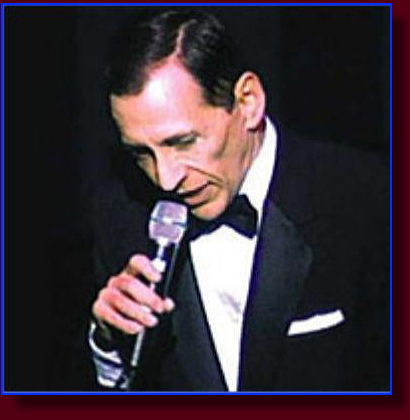 <a href="http://www.franktribute.com/" target="_blank">Frank Sinatra Impersonator</a> - An authentic Frank Sinatra Lookalike and Soundalike Tribute for Corporate Entertainment, Casinos and Special Events. While I was appearing on NBC’s Laugh-in, I also hosted an afternoon Radio show on L.A.’s KMPC. We often had visitors at the Radio Station, which was located on Sunset Boulevard in the heart of Hollywood. Despite a continuous flow of celebrities at our Broadcast facilities, there was one afternoon in particular that stands out. That day, Boxing Champ Sugar Ray Robinson came to the Radio Station to record Public Service Announcements for Sugar Ray’s Youth Foundation for Poverty-stricken children. And along with Sugar Ray was Frank. It was yet another of the many contributions of time and money he made to Charities. After a long recording session, all 140 employees of the Radio station lined up to meet our two visiting stars. I’ll never forget how gracious Frank was, warmly greeting every employee, with a special treat for each female, who received a kiss on the hand from The Chairman of the Board. "Frank & His Favorite Females"
"The Chairman & The King"